In terms of 3D polygon performance, the 32X is theoretically capable of rendering up to 160,000 flat-shaded polygons/sec and 50,000 textured polygons/sec. In comparison, the 3DO renders up to 20,000 textured polygons/sec, while the Super Nintendo's Super FX 2 cartridge enhancement chip renders up to 4,000 flat-shaded polygons/sec and 2,000 textured polygons/sec. This means the 32X can render up to 40 times as many polygons as the Super FX 2 chip and more than twice as many textured polygons as the 3DO, theoretically. However, the 3DO has math and video coprocessors which take the load off the CPU, whereas the 32X's lack of a 3D coprocessor means it has to rely solely on the CPU to render the 3D graphics. 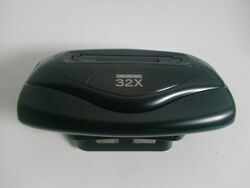 Practically, it is not clear whether or not the 32X is actually more powerful than the 3DO overall, contrary to Sega of America's marketing claim that the 32X is much more powerful.